Song History: Selena’s biggest single, peaking at #21 on the Billboard Hot 100 was the follow up to “I Could Fall In Love” which was released only in the Latin market. 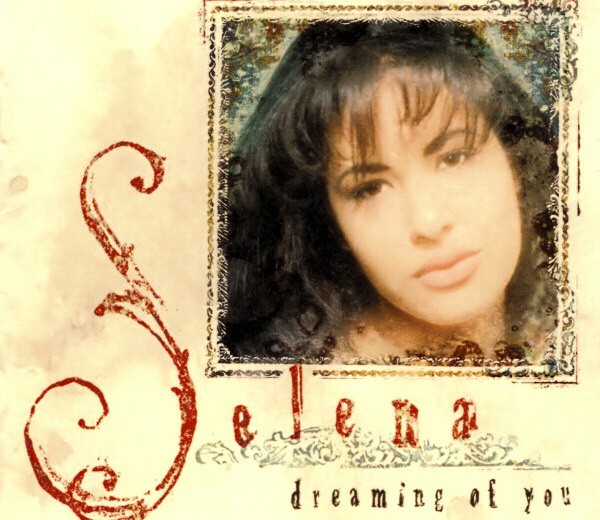 “Dreaming of You” was released at the end of the first quarter of 1995, after Selena’s tragic murder. It appeared on the album of the same name. In the fifteen years since Selena’s death there have been many more releases, mostly in compilation form. The movie “Selena”, released a few years following the incident, featured Jennifer Lopez in her first starring role singing the song in the film’s climactic moment. Author’s Note: Franne and I originally wrote this song for a smooth sounding R&B group from Minneapolis called The Jets, who were coming off a string of hits. Unfortunately, they passed on the song. Franne who, apart from her great talent as a songwriter is a natural born song plugger, never gave up on the tune and eventually got it to Selena. She also stepped in and completed the background vocals following Selena’s death. Overall, having heard this song countless times, I still maintain that “Dreaming of You” is one of the most beautiful love songs/ballad in existence! Snow & Golde’s lyrics are wonderfully written, and Selena’s incredibly strong vocals make this song incredible. Masterpiece! Thanks you, Andres. Very kind words, indeed! In the linear notes for the re-released Selena album, they say that Selena’s brother (and producer) advised Selena against the song, but Selena herself refused to let the song go and that it eventually became all their favorite. There’s a rumor that Selena never completed the main recording of the main vocals. Is that true? Hi Roy. Apologies for the late reply and many thanks for your kind words. I actually never met Selena but my co-writer, Franne Golde, filled in some post mortem backing vocals. From what I’ve gathered she was a doll to work with. A timeless song! We should be fortunate that The Jetts passed on this song because it was meant for Selena. It fits Selena in every way possible from her love to her personal life in goals. Selena always gave her best, and this is a masterpiece! I’ve heard this song countless of times (and will continue to) and never gets old. Thank you for these amazing lyrics and music! Selena forever lives in our hearts and through your, Her music! Dear Abraham, Thank you so much for reaching out. I’m honored to have heard from you. Good to know that the vocals were done with you at the helm. No wonder they sound so great!